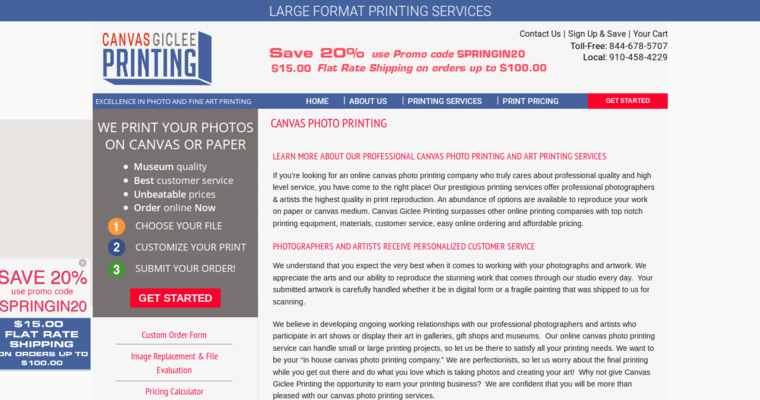 Canvas Giclee Printing is a progressive, productive Giclee Print Firm that works with dedication and diligence to help clients push their businesses forward. We love the world of creativity and art, and this is why we're passionate about helping artists optimize every component of the work we produce. We offer a wide range of effective services to accomplish this objective, some of which include custom canvas printing, canvas photo printing, blind drop ship programs, art reproduction services, fine art paper Giclee prints, gallery wrapped canvas prints, and large format printing. We're also a contemporary company, meaning that we place primacy on being fully cognizant of emerging industry trends. This way, we're able to provide our clients with the most cutting edge products and services available. Finally, we're a customer-centered group of printing mavens. This means that you can count on us to acknowledge and respect your personal preferences and professional goals. 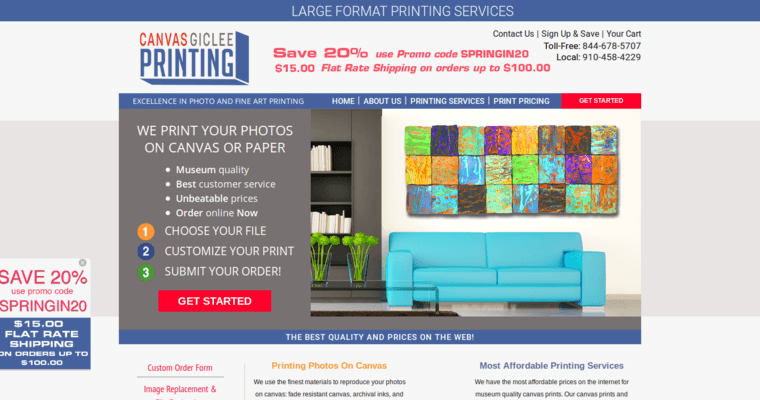 Choose Giclee Printing and get ready to obtain amazing results!